British M.P.s walk onto an airship gangplank, in Cardington, England, in the 1920s. In the 1920s and 1930s airship mooring masts were built in many countries. A mooring mast is a mast or tower that contains a fitting on its top that allows for the bow of the airship to attach its mooring line to the structure. When it is not necessary or convenient to put an airship into its hangar (or shed) between flights, airships can be moored to a mooring mast. 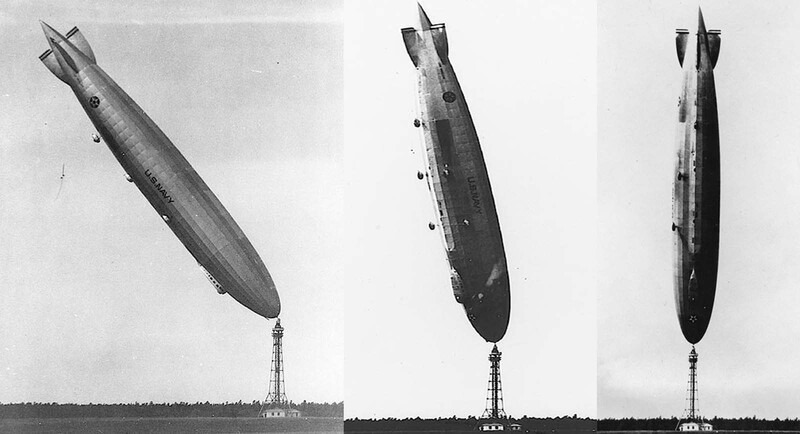 After their development mooring masts became the standard approach to mooring airships as considerable manhandling was avoided. Without doubt the tallest mooring mast ever designed was the spire of the Empire State Building which was originally constructed to serve as a mooring mast, although soon after converted for use as a television and radio transmitter tower due to the discovered infeasibility of mooring an airship, for any length of time, to a very tall mast in the middle of an urban area. The U.S. Navy’s dirigible Los Angeles, upended after a turbulent wind from the Atlantic flipped the 700-foot airship on its nose at Lakehurst, New Jersey, in 1926. 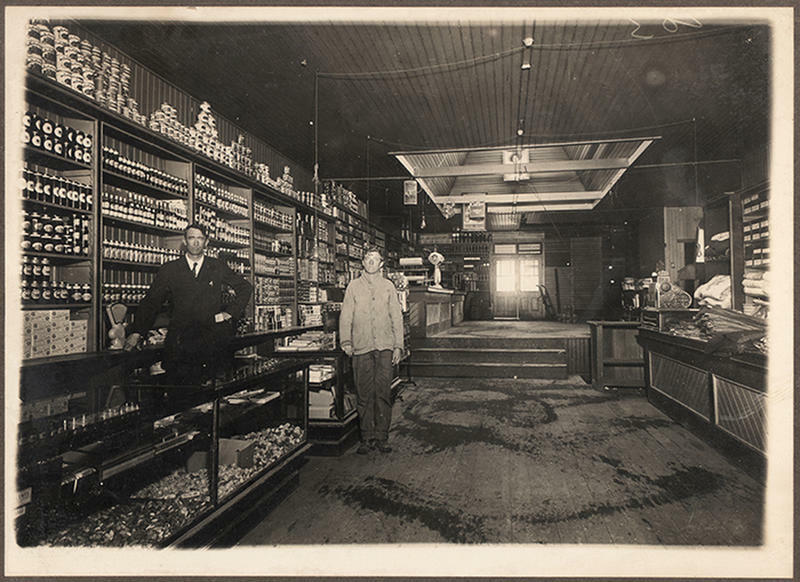 The ship slowly righted itself and there were no serious injuries to the crew of 25. 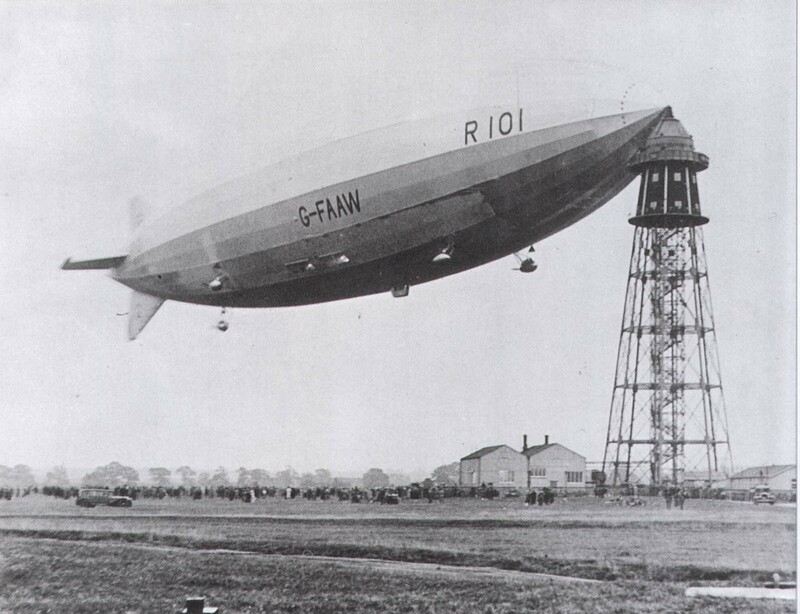 One of the most renown style of mast was the British Cardington mast. The Cardington mast, completed in 1926, was an eight sided steel girder structure, 200 feet (61 m) high, tapering from 70 feet (21 m) diameter at ground level to 26 feet 6 inches (8.1 m) at the passenger platform, 170 feet (52 m) from the ground. Above the passenger platform was the 30 feet (9.1 m) of the conical housing for the mooring gear. A lower platform 142 feet (43 m) above the ground accommodated searchlights and signalling gear in a gallery 4 feet (1.2 m) wide. 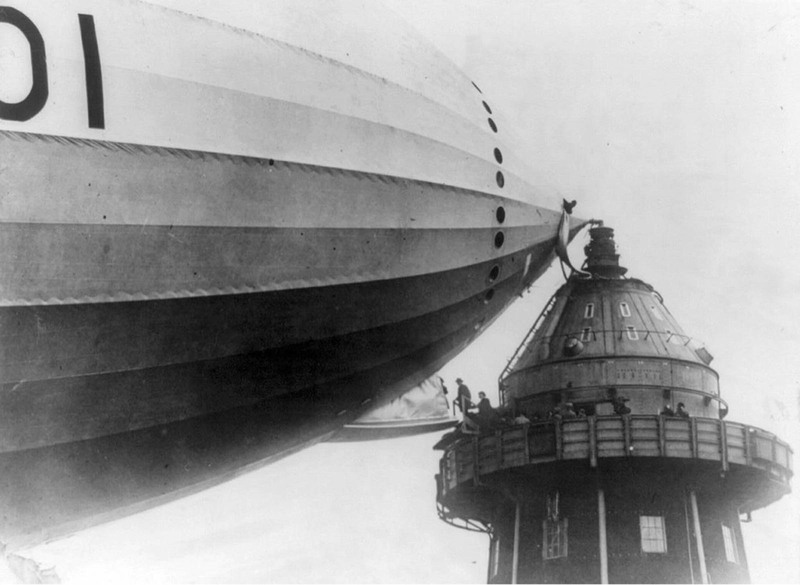 The top platform, at the height of 170 feet (52 m), from which passengers embarked and disembarked to and from the airships, was 40 feet (12 m) in diameter and encircled by a heavy parapet. The top rail of the parapet formed a track on which a gangway, let down from the airship, ran on wheels to give freedom for the airship to move around the tower as it swung with the wind. An electric passenger lift ran up the centre of the tower, encircled by a stairway to provide foot access. Cardington type were built along the proposed British Empire Airship Service routes, at Cardington itself, at Montreal (Canada), Ismailia (Egypt) and Karachi (then India, now in Pakistan). None of these survive. The R-101 moored here was the largest craft in the world (until the Hindenburg) and crashed on her maiden voyage, killing 48 out of 54 on board. The crash effectively ended the nascent British airship program.